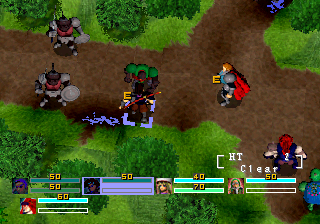 Mystaria (later released as Blazing Heroes) is a tactical RPG for the Sega Saturn. 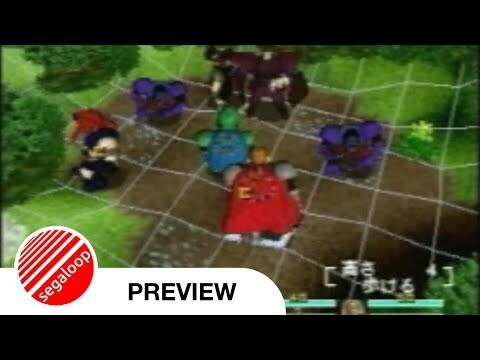 Yuo start with a small party, and add new members as the game progresses. This game is one of the few that allows all characters to use area attacks, instead of just spell users. There is also a unique defensive system, that allows you to do much more than simply partially block the damage of an incoming attack. Each character has a certain amount of energy to use each turn, which is consumed for each space moved, and by certain attacks. In general, the more powerful the attack, the less you can move before using it, so you can't move the maximum and then unleash your strongest attack. The story is a little weak, but the gameplay is amazing. Now you can add videos, screenshots, or other images (cover scans, disc scans, etc.) for Mystaria The Realms of Lore (U) to Emuparadise. Do it now! If you haven't noticed yet, we have a retro game of the day feature (top-right of the screen) wherein we feature a new retro title every single day! Now, you can vote for your favorite games and allow them to have their moment of glory. 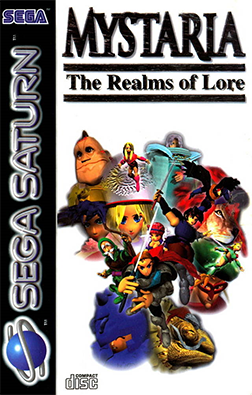 Click on the button below to nominate Mystaria The Realms of Lore (U) for Retro Game of the Day. Sega CUE Maker - If you have problems with your CUE files, download this to generate CUE sheets for Sega CD, Sega Saturn & Neo-Geo CD games.